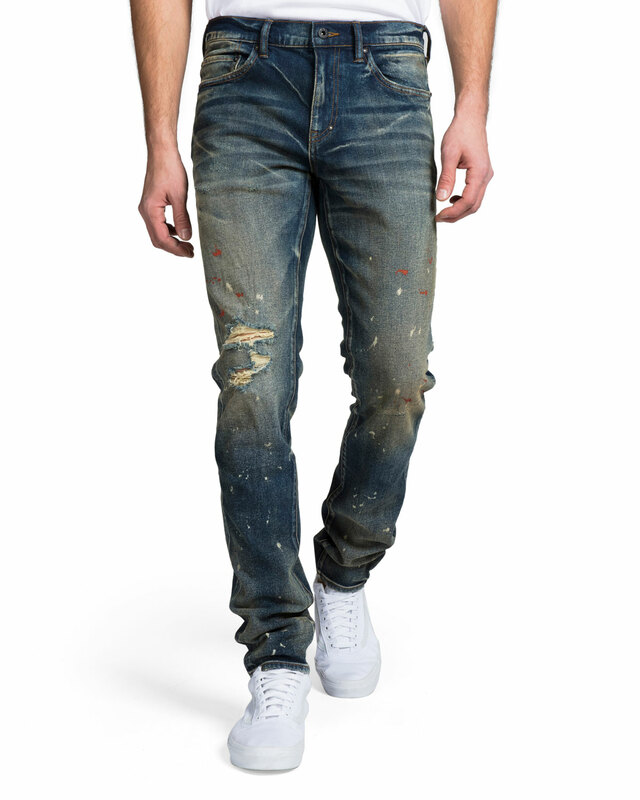 PRPS dark wash denim jeans with rips and paint detail. 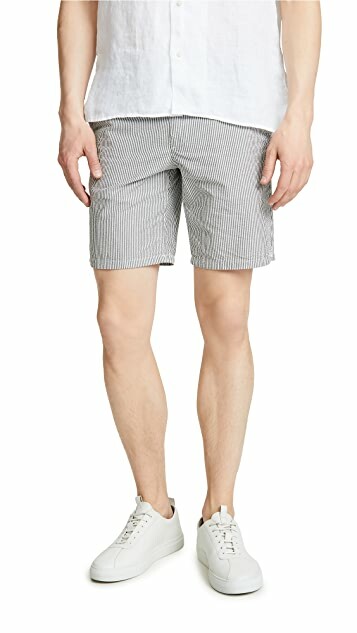 Features embroidered Dark Seas logo on bottom left leg. Elasticized drawstring waist. 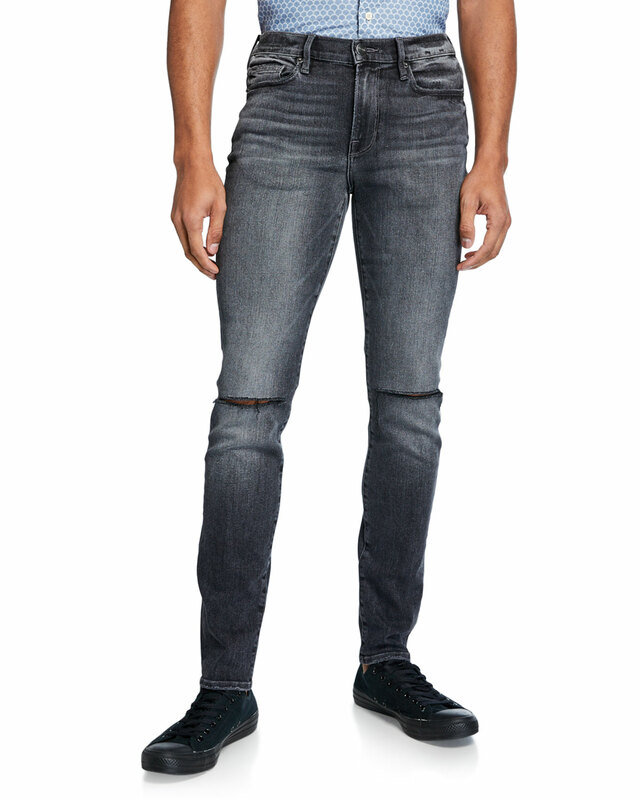 Mesh lined slant hand pockets. Back right patch pocket with velcro flap closure. 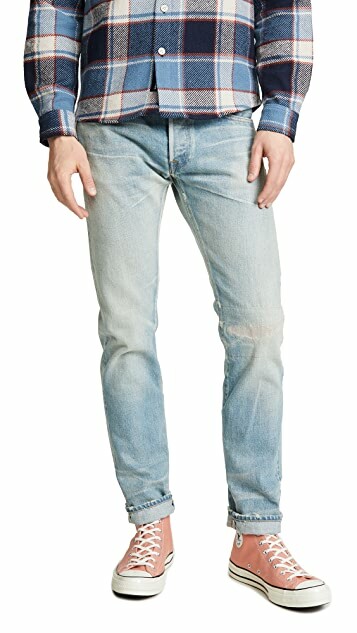 Hand Picked “Yagi” jeans in light-blue wash with whiskering and fading. 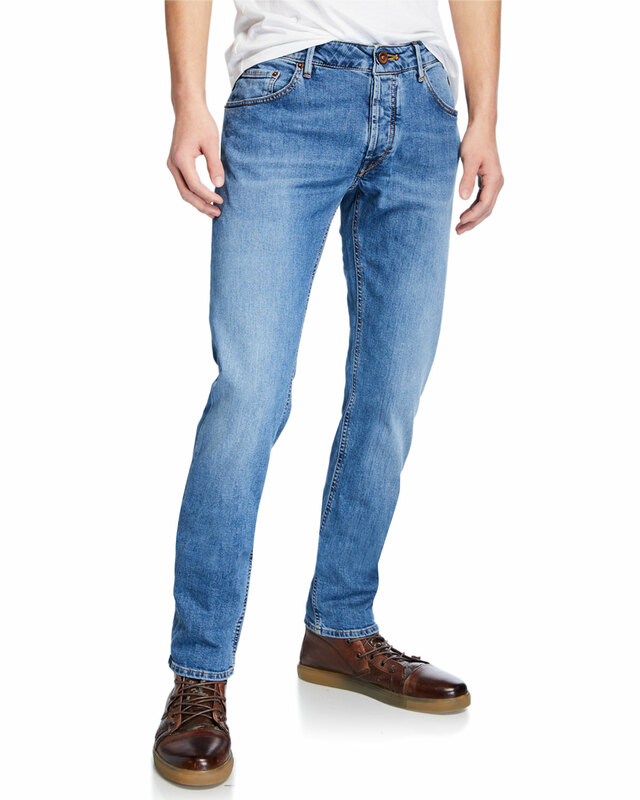 Jacob Cohen jeans in dark indigo wash stretch denim. Signature ponyhair logo patch at back waist. 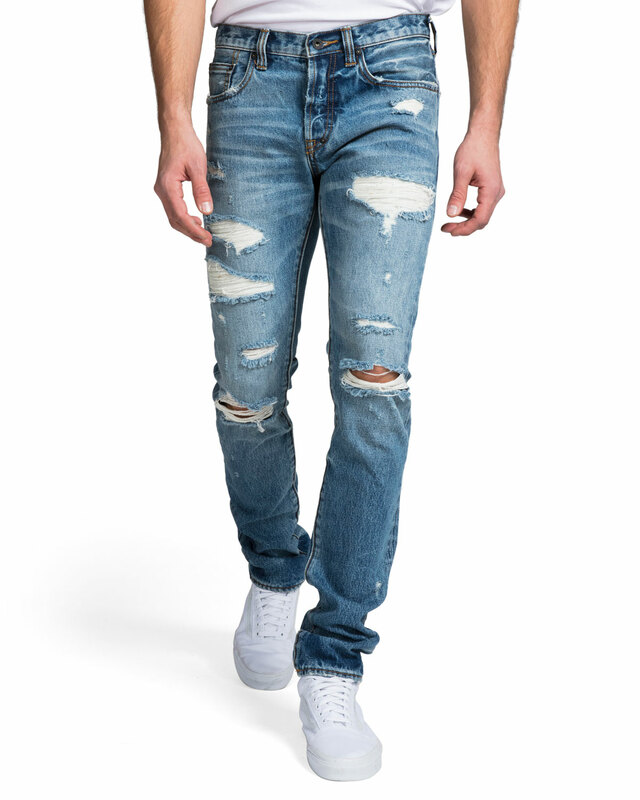 PRPS light abrasion denim jeans in medium wash detail. 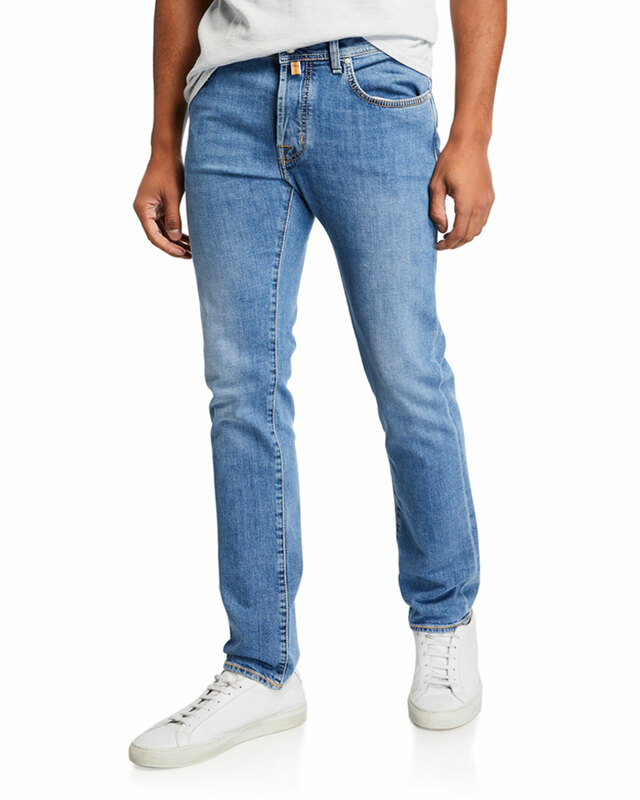 FRAME jeans in subtle-stretch denim.